Dr. Peter Cawston, Yogability’s Chair, has been practising yoga for several years, having brought yoga to Drumchapel Health Centre. Yoga was adopted as a weekly practice for GPs and staff at Garscadden Burn Surgery, later for patient groups, and, through word of mouth, to other surgeries, local groups and Housing Associations. 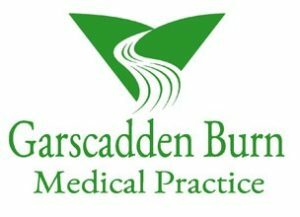 The Herald recently wrote an article about Garscadden Burn and the awesome benefits associated with the practice, having brought yoga, community connection and even cooking skills to the local community. As the teacher for Garscadden Burn, it has been a pleasure working with such an amazing, receptive and innovative practice. We know yoga brings many benefits, both physically and mentally, but taking a lunchtime out of your incredibly busy morning to get down on to a mat on the waiting room floor, with the buzz of chatter going on inside and outside the building, takes rather a lot of commitment. Watching this group being able to move, connect to the breath and switch off from the outside world for 50 minutes, is a pretty wonderful sight to behold for a teacher. The patient groups, having heard about the benefits of yoga from the staff, GPs and team at the surgery, knowing they speak from experience, are very receptive to taking part; knowing they ‘practice what they preach’ has made attending easier, according to one of our students. The humour, patience and respect the patient groups bring to the weekly session is really humbling, especially those with health issues who are willing to give it a go and leave every week realising that yoga really IS for every one and every body. It will therefore be no surprise to hear that Garscadden Burn received “Scottish Practice Of The Year” award recently and all of us at Yogability would like to offer our warmest congratulations. I every time spent my half an hour to read this weblog’s posts all the time along with a mug of coffee.